Heavy Planet presents today's "New Band To Burn One To"... SHE DEVIL! Slaves to the local music scene, the members of She Devil have certainly paid their dues. Playing to unruly crowds in run-down, smoky beer joints in Texas, this long awaited first release has vindicated the band as much more than just losers on the local scene. Titled “The Supernatural Kind”, the bands own personality shines through with guitar laden riffs that are reminiscent of the south and the smoky atmosphere in which the band got its start. Harkening back on the early days of metal, there is no doubt that She Devil clearly acknowledges their influences, but has a sound that is uniquely theirs. This first release showcases much of the heavy, riff-filled guitar tracks, thunderous bass, and elegant drum lines that add a deep complexity to the sound. Complete with a brand new vocalist, this release is one that you will want to check out for yourself. 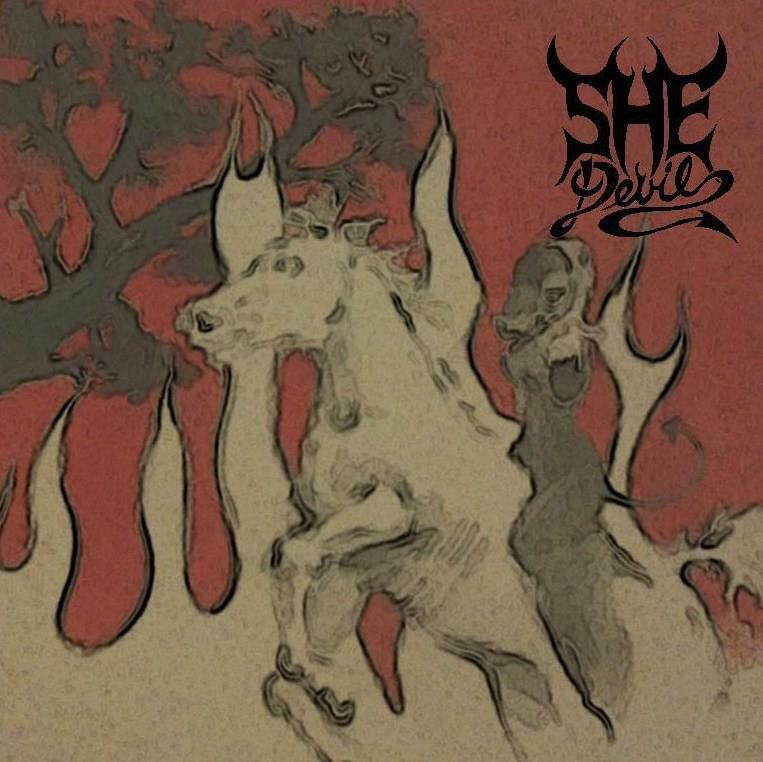 "Texas band She Devil brings to the scene a new EP of cool smokin' grooves interlaced with a raucous beer-swilling in-your-face heavy rock swagger. While the music is more straight-forward rock, there is a hint of doom on the fat and meaty lead track "Blues or Bad Luck". The AC/DC-inspired beginning riff of "Black Meadow" leads into a straight forward chugging rocker complete with twangy soloing. She Devil shows it's sensitive side on the emotion filled ballad "If I Could". The band gets a bit sleazy on the wah-wah-driven closing track "Pale Horse". 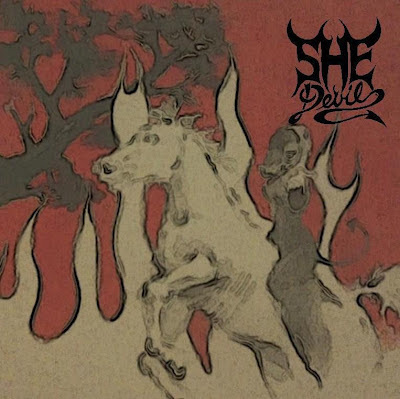 If you like "big" hooks and I emphasize "big" as the band hails from Texas, then you will totally dig these bonafide Texas-rockers known as She Devil"